Can you belive the March is almost over?! 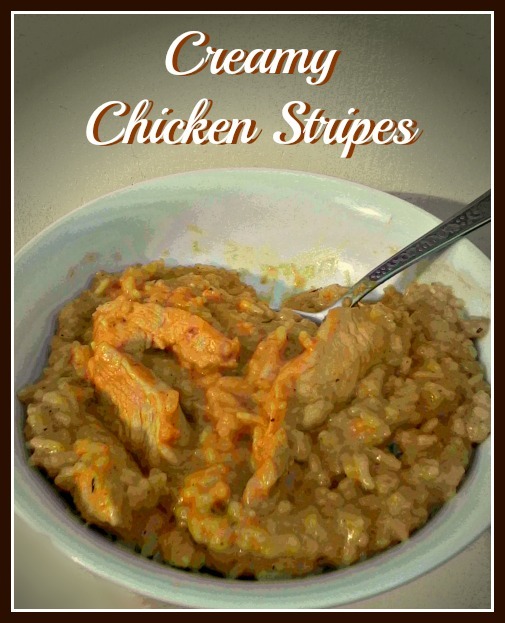 Well as it’s the last Monday of the March, I’m gonna share the delicious, Creamy Chicken Stripes recipe. Absolutely simple; cut the chicken breast into stripes (I cut them into about 5 cm x 1 cm stripes) and cut the onion into half rings (about half cm thick). Pre heat a little oil in a skillet and sauté the onion, when it’s caramelized a little, add the chicken stripes, season it and start frying. When the chicken breast stripes turned white, pour the cream onto them and cook it for about 5-10 minutes (depends on the chicken). For side-dish, I cooked rice. My family couldn’t have enough of it and it was ready really fast. So if you anything like me and want to put a simple, quick and filling meal to the table, then it’s a prefect recipe for you too! I hope you liked it and you’re gonna give it a try!